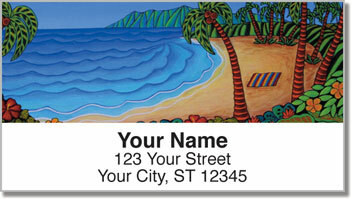 If you're longing for a weekend away, but don't quite have the funds to swing it, enjoy these gorgeous address labels from Artist Kala Pohl. Featuring her acrylic paint and expressionist style, Kala manages to infuse a sense of whimsy into each of her images. 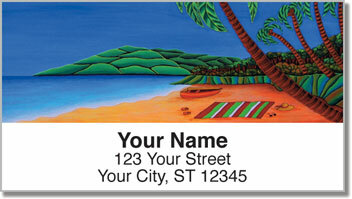 Though these beach scenes are familiar, you'll still fall in love with them. 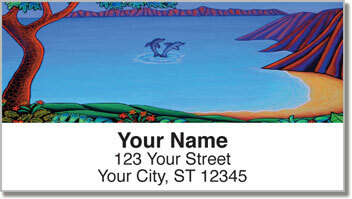 Now you can get these designs on our address labels. 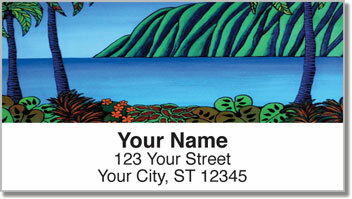 Make mail time much easier and put a personal touch on every package or letter you send. Everyone is sure to appreciate it.